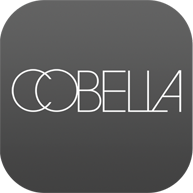 It’s tough to compete with the hands of a Cobella professional for a dreamy massage or a therapeutic knot busting massage. Massage can ease insomnia, boost immunity and reduce stress as it reduces the stress hormone cortisol while boosting the feel good hormone serotonin and dopamine. Escape from the pressure of life and give yourself time to unwind and relax at our luxurious spa located in the heart of the west-end.